For my 30th birthday I took a solo trip to San Juan, Puerto Rico. 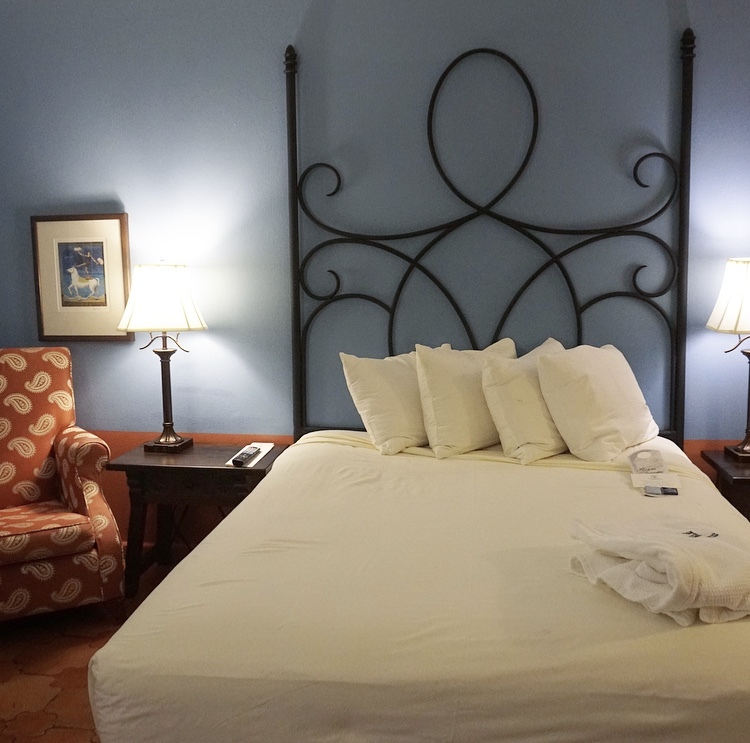 While I was there I stayed at the Hotel El Convento, located in the heart of Old San Juan. I chose this hotel for its location and because it had an old world historic charm that I found fitting for visiting Puerto Rico. The Hotel El Convento use to be a convent and was later transformed into a hotel. 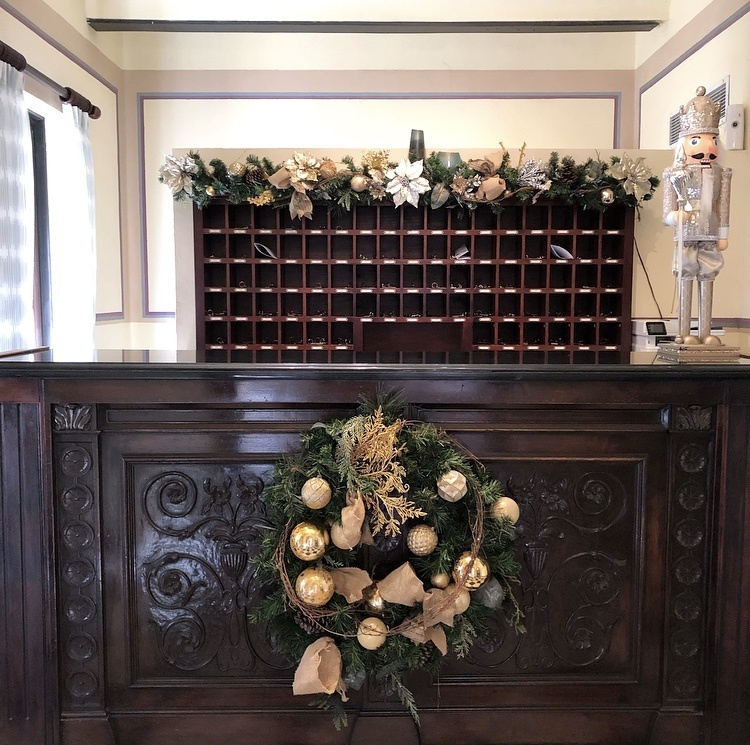 The hotel El Convento has gone through many renovations over the years, it is apart of the Small Luxury Hotels of the World and the Historic Hotels of America. When I arrived the hotel was still decorated from the holidays. You could see nutcrackers, wreaths, and holly in every corner. It brought a smile to my face to see the hotel be so festive. My room was a superior room that came equipped with a Queen bed, Spanish furniture and a Juliet balcony. Next to the bed was a cute writing desk where I ended up uploading my footage from the day to my laptop. Across from the desk was a beautiful breakfast nook, it had a glass table with two chairs. The tile in the room was burnt orange and had a lantern shape to it. The bathroom was very modern compared to the rest of the room, but I didn’t mind. What I loved most was waking up every morning and opening the doors to the Juliet Balcony to let the sunlight in. Shortly after I checked in, as I was getting settled in my room I heard a knock at the door. A gentleman greeted me and brought in a bucket of ice with champagne and two flute glasses. Guest Services had sent a bottle of Champagne to my room for my birthday. I was totally caught by surprise, it was a really sweet gesture. The Hotel El Convento had a fitness center that was open 24 hours. It had a little bit of everything a treadmill, elliptical, bicycle and dumbbells. Sadly, I didn’t take advantage of it. I was busy exploring the city of San Juan during the day that in the evenings I stayed in and rested. On the third floor there was a Veranda Terrance that had water, coffee, tea and fruits available for guests. This area was open and stocked at all times. There was even cozy area where you could sit down and read nearby. I would always stop by this area in the morning and pick up a banana and a bottle of water to stock my backpack. That way if I got hungry or thirsty before lunch I would have something to snack on. Every evening they hosted a Wine Reception from 6pm-7pm where cheese, crackers and wine were available to guests. I absolutely loved going to this reception. It was nice to munch on cheese and crackers while enjoying a glass of wine and looking out on the terrace. This was also a great way to mingle with other guests staying at the hotel. I have never before stayed at a hotel that offered these light bites and luxurious feels as a part of the stay. If you walked thru la veranda terrance and went up one floor you would find the Plunge Pool and Sundeck. It had the most spectacular view of old San Juan. I would have loved to have spent more time up there. 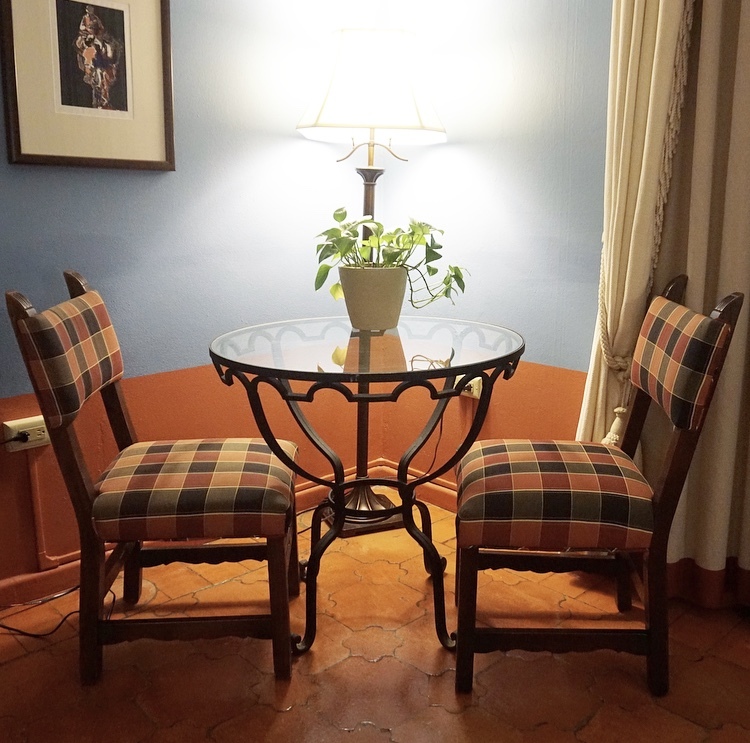 I didn’t have the chance to go downstairs and enjoy eating at the restaurant located in the lobby of the Hotel El Convento, the Patio Del Nisper. I did however order breakfast one morning for room service. It was a hearty and well balanced breakfast if I do say so myself. I ordered orange juice with eggs, toast, and a fruit cup. The hotel had bicycles by the front entrance for guests to use. 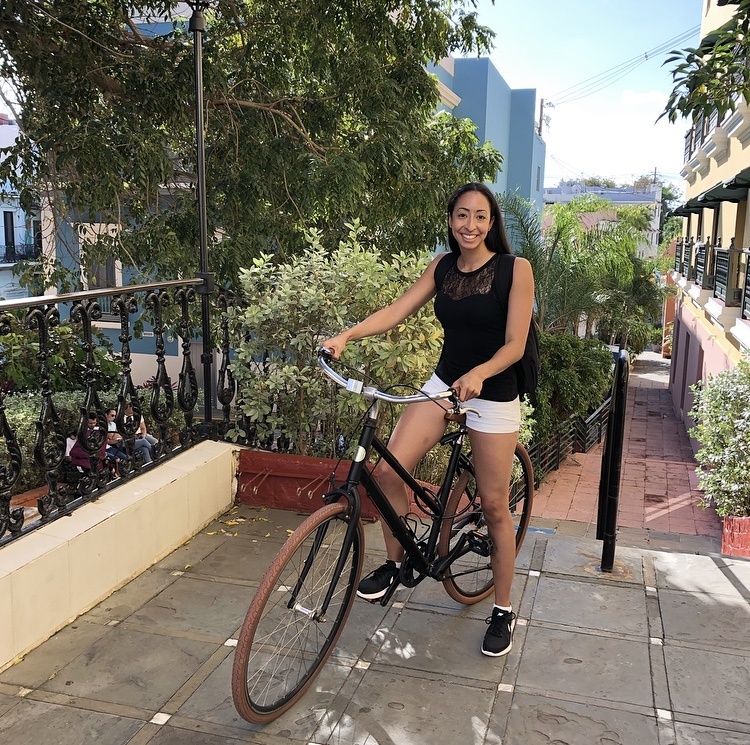 On my last day in San Juan, I took a bike ride along the Castillo San Felipe Del Morro. Riding along side the fort and feeling the breeze of the San Juan Bay across my face was breathtaking. It was a great way to end an amazing trip. 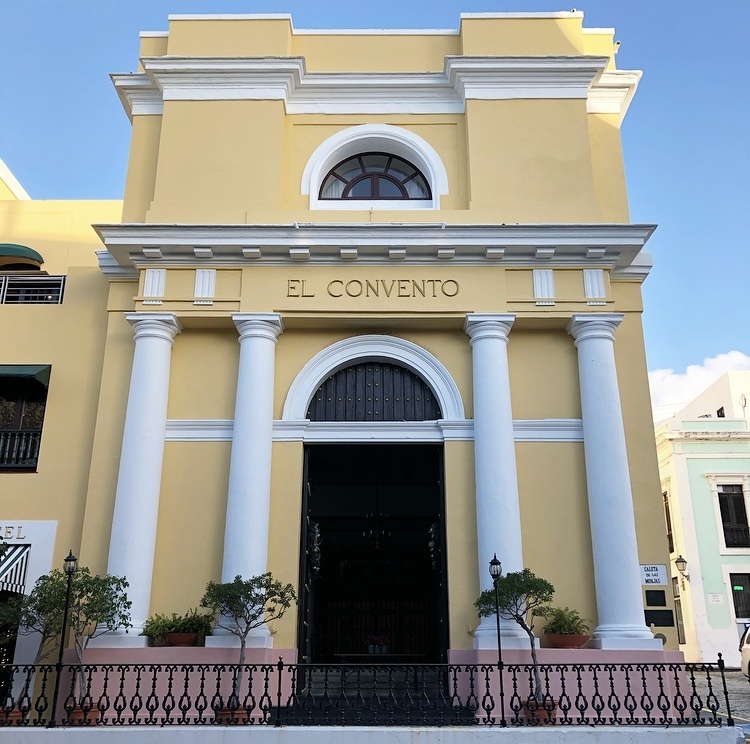 If you’re planning a trip to San Juan, Puerto Rico and want to stay at a luxury hotel, then book the Hotel El Convento. This hotel has so much character that you can’t help but be impressed by it. 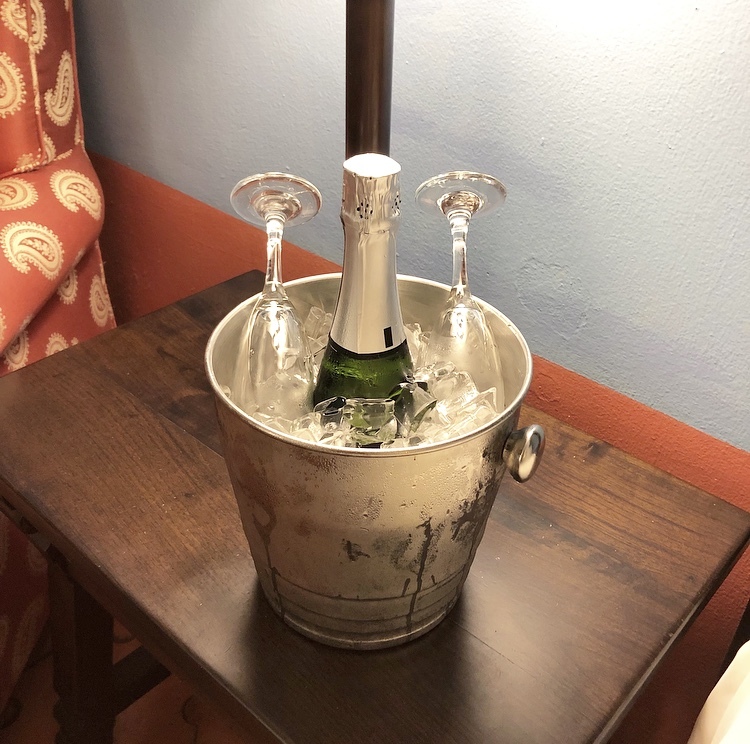 I enjoyed my stay at the Hotel El Convento and I am looking forward to my next visit.